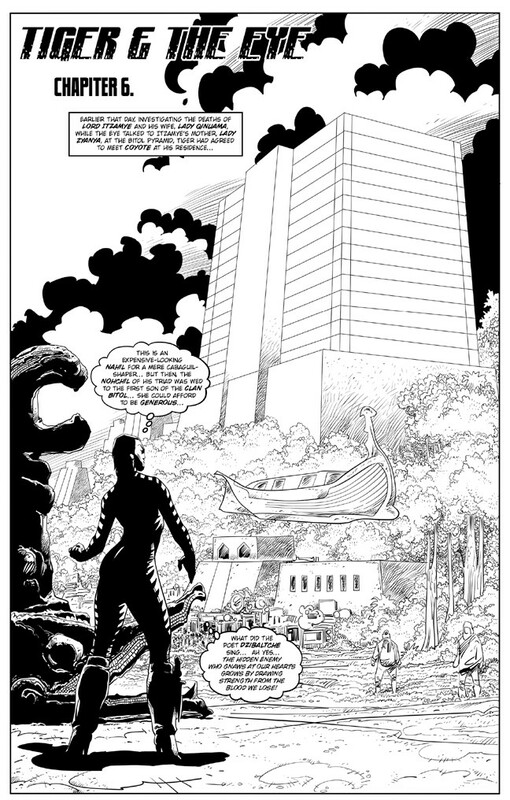 The saga of Tiger & The Eye takes place on a parallel Earth called Kabb-Earth dominated by Mesoamerican cultures, one on which the Indo-European civilizations never rose to prominence, leaving room for the Mesoamerican cultures to thrive and grow, and create technological advancements unique to that world, including the ability to cross into other worlds by using the much coveted “wayak” technology. 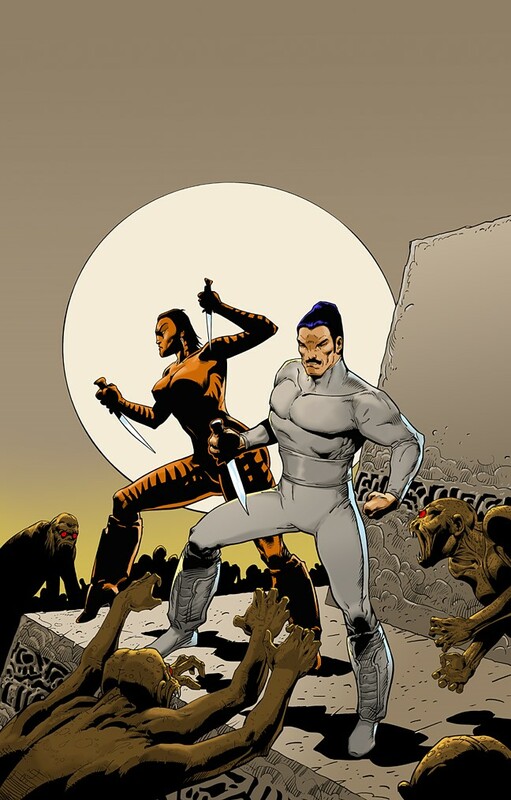 The two protagonists, Tiger, a tecpatl (a man-animal hybrid genetically created by the Caste of the Begetters) and The Eye (aka Hojo, a former cop gifted with the ability to learn what the dead knew by touching an object having belonged to them), are private detectives who investigate murders and espionage among the aristocracy of their society. 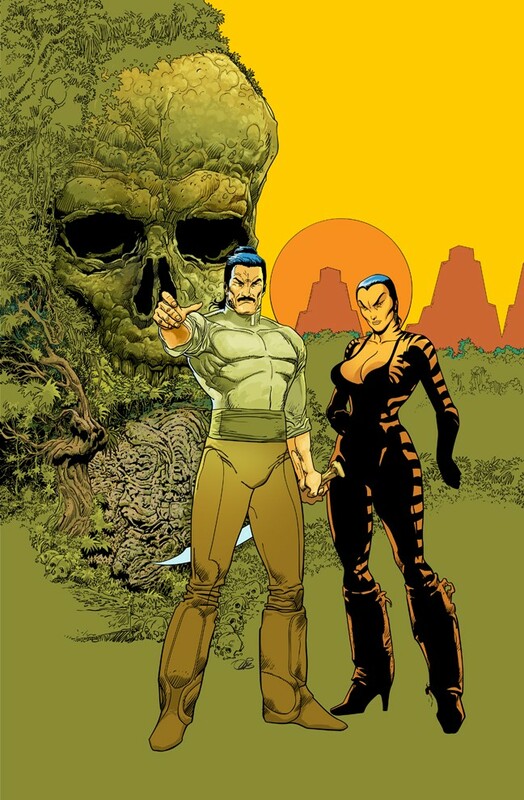 They often act as agents for the powerful Lord Ix, with unofficial support from Lord Zotz, Chief of the Qaholom (police). 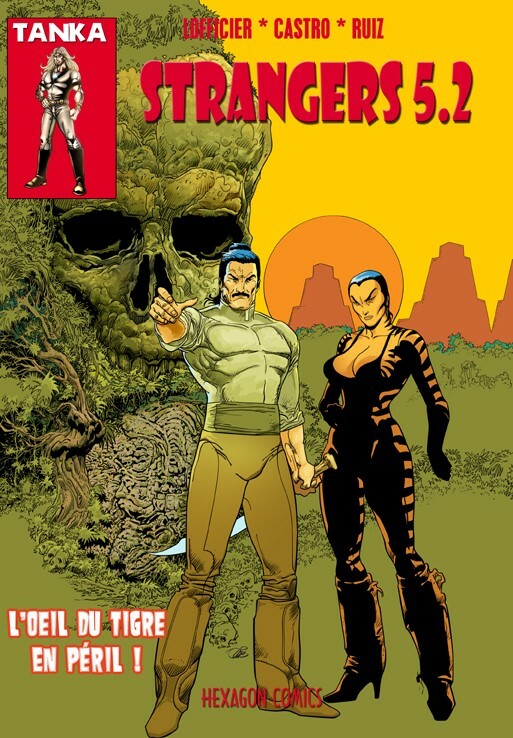 Tiger & The Eye have appeared throughout the Season 5 of Strangers. 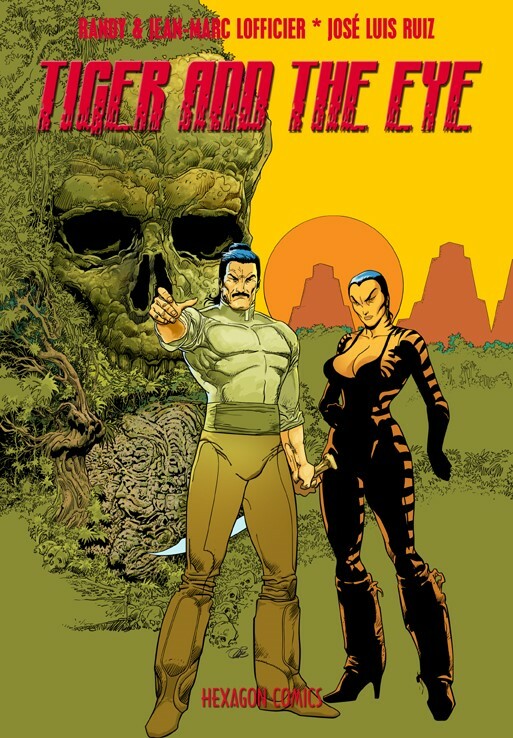 The stand-alone advenrtures of Tiger & The Eye have been translated and collected in a single tpb on sale here.